How do I update my Yamakawa firmware? 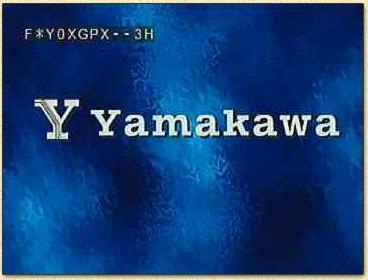 One of the great features of the Yamakawa players is that you can update the firmware for fixing bugs or adding new features. The updating of the firmware is done, using a regular CD-recordable or CD-rewriteable, which you create using a CD-writer on your PC. Note: this trick only works for hardware version > 2.1G ! Hardware versions lower or equal to 2.1G are only updateable by re-programming the EPROM which is not easy and should be done by the Yamakawa dealer. Note: downgrading from version 41 might be very tricky! Note: Flashing/Updating the firmware is NOT without risk! Please READ the DISCLAIMER! UPDATING FIRMWARE IS NOT WITHOUT RISKS! Always wait until the player shutsdown by itself! Never switch off during update, NO MATTER WHAT YOU SEE on your TV-screen! Firmware is ALWAYS for one, and only one, particular model ONLY! I cannot be held responsible for screw-ups! So you have been warned ! Your Yamakawa dealer might be able to repair your player by manually flashing the memory chip. Since it involves a lot of effort, this will not be free. Tip before you start updating your Yamakawa: Print this page for reference ! Here you can download the firmware version 3H for the Yamakawa 715 right here. It includes the rom file and the password file required for updating. New/different versions can be downloaded at Seditec Germany. Unzip the file (for example using WinZip) after downloading. You will find two files: "Bank30.rom" and "apassword". If you like to use a custom background for your menu's and boot screen then please take a look at the Yamakawa Custom Background page for more information on how to modify the firmware for that purpose. Note: the now following text is intended for the Yamakawa 715. Other brands or models might require different rom-files. Don't blame me if you're using the wrong rom-file and your player get's goofy on you! "SETUP" - "SLOW" - "SKIP-LEFT" - "3"
Note: this trick is not working with firmwares 4x and newer. Here we see firmware version "F*Y0XGPX--3H", on the firmware page you will find more details on the meaning of this code. The most important parts of this code are the last two digits ("3H") and the character "G". Meaning firmware version 3H and this is a German version. Since I'm not German, I'd rather see the English version (that's why I updated my firmware). The code you just found is very important to determine the required password. The password is used by the current firmware to allow you to update to the new firmware. Not only is it a "password", it's also an identifier for the firmware update results. One can indicate here also which OSD language one prefers and what native region should be use. The password file must match your current firmware version, therefor we shall now edit the "apasswd" file. 1. open NOTEPAD (or any other basic ASCII editor, for example EDIT in DOS) and open the "apasswd" file. The image above shows us the NOTEPAD with the "apasswd" file opened. It's content, "F1R0XENX.3H CB51B65" indicates an US version 3H. The first part "F1R0XENX", before the period - indicated BLUE in in the previous line -, needs to be altered. In my situation, for example, I have firmware version "F*Y0XGPX--3H", the new code becomes "F*Y0XGPX.3H CB51B65". Note that the firmware version "3H" is not used here ! Only the first 8 characters are used ! I live in region 2 (Europe), for more details on which region you should use, visit the DVD Regioncode page. My Yamakawa is currently regionfree, which makes it useless for the update. I therefor have to choose region 2. Read the Yamakawa Set Regioncode page on how to set the proper regioncode (short: "SETUP" - "SLOW" - "SKIP-RIGHT"). Note: Your Yamakawa can NOT be REGIONFREE ! Updates will fail otherwise ! This character should replace the second character in the "apasswd" file, for example (blue indicated): "F2Y0XGPX.3H CB51B65". Note: I replaced the "*" (or "B") with a "2". If you want the on screen display text to be in English by default, the change the "G" (German) to an "E" (English). For this example (marked blue): "F2Y0XEPX.3H CB51B65". 3. Now save the changes to the "apasswd" file. DO NOT USE JOLIET MODE ! The title of the CD does not seem to matter. Place both files ("Bank30.rom" and the adapted "apassword") in the root of the CD. Make sure you're using the "apasswd" file you just created. If you're not sure how to burn a CD, you might want to check "How to burn a computer CD-Rom with Nero". It's time to do the upgrade for real. NO MATTER WHAT YOU SEE on your TV-screen! So NEVER switch the player OFF! After the update finished, it will shutdown by itself! During update you will see a lot of static! Don't be afraid this is normal! Below you see an animation of screendumps of the firmware upgrade I did. Note: the "black" screen indicates the start/begin of the animation, it can take a few seconds before it get's there... Pressing refresh or reload of your browser will bring it back to it's beginning frame,... unfortunally so will the rest of the webpage. Firmware update in progress ... don't get scared now ! Besides the official firmware versions (see Firmware page for more details) we can also find patched firmware versions outthere. The versions you find here are from the French website http://dvd.tristou.net/ (no longer availanle link, sorry ...). READ THE DISCLAIMER BEFORE YOU USE THESE FILES! USE AT YOUR OWN RISC! This version looks a lot like the previous versions, and seems to be willing to playback single MPEG1 and MPEG2 files. The software capabilities (bugfixes etc) are similar to the firmware 6.x with the lack of the SmartNavi system. This version does not have suffle/random playback of MP3's, see version 6.x. Fastplayback has more speeds (2x, 5x, 10x and 15x). Zoom support for both VCD and SVCD too (1.5x, 2x and 4x). Note; the A2 and A3 releases are experimental (work OK though!) of firmware 6.20. Update: For the Yamakawa 715 (BT), a modified 06.A2 firmware is available that supports miniDVD! Download it here. A cool 3D Smart Navi menu system! Single / Reference mark-One / Folder / Folder Repeat / Random / Shuffle One / Program-End. Now supports MP2 audio files too. Reads MPEG2 video files with a resolution up to 720x576 in VBR! Browse and Playback of MPEG1 and MPEG2 video files. 3 menu languages: English, Chinese and German.